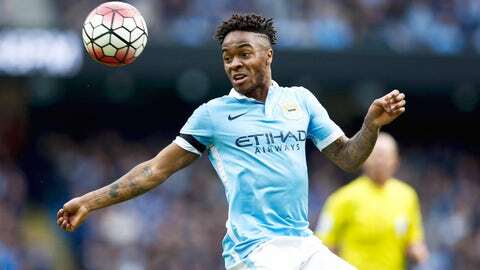 Raheem Sterling's agent was unhappy with the way Brendan Rodgers managed the England international. Raheem Sterling’s agent says the Manchester City star should still be at Liverpool, claiming he would have shone under new manager Jurgen Klopp. Speaking to Mail Online on Tuesday, Ward said he was unhappy with the way Rodgers managed the England international. While Ward believes Sterling will ultimately benefit from his move to the Etihad, he is convinced Klopp would have brought the best out of the 20-year-old. He said: "Raheem could have stayed, he should be at Liverpool. I think for me it was like he was being told to be a good boy and sign a contract. "In December I spoke to Liverpool and said we’ll sign a contract if there is a buy-out clause – those clauses are now common practice. They said no to that. Then there was an underhandedness, there were sly remarks. In press conferences, Brendan told everyone Raheem would sign – why do that? "I knew, Brendan knew and Liverpool knew there was an issue. Right now he probably should be a Liverpool player, but he’s not and he’s in a great place at City. I had no problem with chief executive Ian Ayre, for example. I have no issue with anyone but Rodgers. He had a massive job with massive funds. How did he do? "Good coach, but as a manager I didn’t like certain things about how he dealt with Raheem. Fifty per cent of the players would probably tell you Brendan is not a good manager but is a good coach. "The new Liverpool manager probably would have been a great fit for Raheem. Passionate, disciplined in the right way, new ideas, not afraid of trying new things. He’ll do great at Liverpool. "Would Raheem under Klopp have been a good scenario? Yes, 100 per cent. Mainly because of the person he is. The passion, drive, emotion, wanting to achieve. Raheem has all of this, but you won’t always see it outwardly. Working with Klopp could have been great. He’s going to get the best out of those players. It could have been a dream come true."